Contour Products is a leader in the ergonomic comfort and support industry. 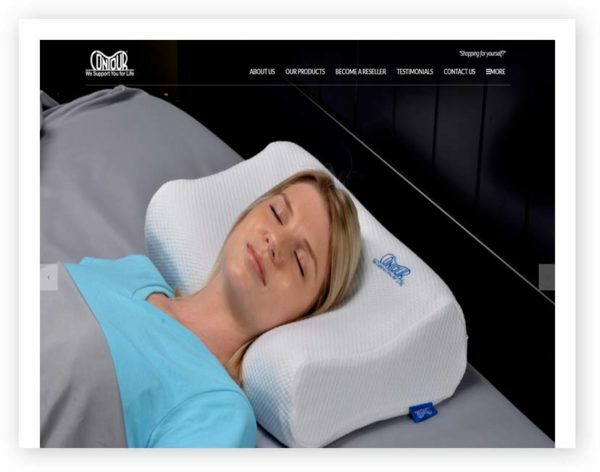 Since the introduction and success of its first innovation in 1991, the Contour Pillow, the company has sold more than 20 million products in the United States and 80 other countries and has 66 patents and trademarks. Contour Products is focused on developing solution-based products that solve specific sleep, comfort, and support problems for consumers. Since the introduction of their first product, The Contour Pillow®, in 1991, the company has emerged as a recognized leader of specialty sleep, comfort and support solutions. Contour’s products help to properly align the body for overall comfort and improved well-being. Their emphasis on posture, ergonomics, and support is what separates them from the competition. They have an in-house product design team that partners with physicians, chiropractors, and sleep experts, and utilizes customer feedback to develop the best products possible. The mission of Contour Products is to provide affordable, solution-based products that solve specific sleep, comfort and support needs of consumers, regardless of their age, gender, size or geographic location.